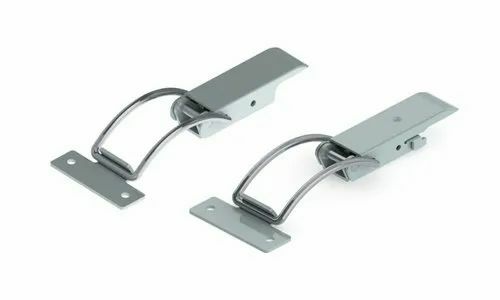 Our range of products include 30 series curved rod non adjustable medium duty latches, 33-38 series non adjustable medium duty latches, 33-38 series curved rod non adjustable medium duty latches, 30 series non adjustable medium duty latches, 30 series small base non adjustable medium duty latches and 27 series non adjustable light duty latches. 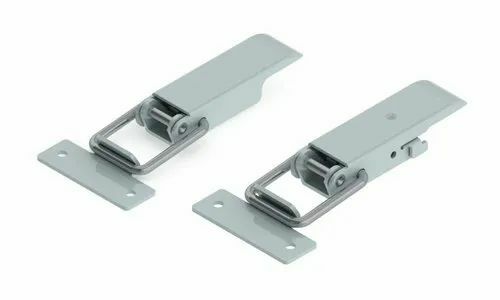 30 Series Curved Rod Non Adjustable Medium Duty Latch is a simple mechanism which holds instantly. The Toggle Clamps Consist of a handle to operate, a Clamping Arm to reach the work piece, linkages for multiplying the applied force, and a base for mounting at the workplace on its base. The handle is operated which thereby moves the clamping arm to hold the work piece. A required clamping force is achieved and exerted on the work piece. Under this action the Toggle Clamp holds the work piece firmly and positively. 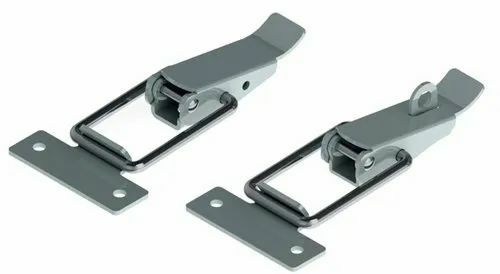 33-38 Series Non Adjustable Medium Duty Latch is a simple mechanism which holds instantly. The Toggle Clamps Consist of a handle to operate, a Clamping Arm to reach the work piece, linkages for multiplying the applied force, and a base for mounting at the workplace on its base. The handle is operated which thereby moves the clamping arm to hold the work piece. A required clamping force is achieved and exerted on the work piece. Under this action the Toggle Clamp holds the work piece firmly and positively. 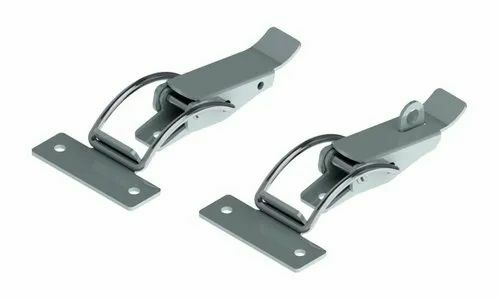 33-38 Series Curved Rod Non Adjustable Medium Duty Latches is a simple mechanism which holds instantly. The Toggle Clamps Consist of a handle to operate, a Clamping Arm to reach the work piece, linkages for multiplying the applied force, and a base for mounting at the workplace on its base. The handle is operated which thereby moves the clamping arm to hold the work piece. A required clamping force is achieved and exerted on the work piece. Under this action the Toggle Clamp holds the work piece firmly and positively. 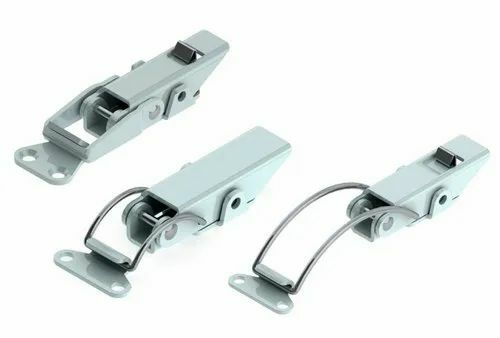 30 Series Non Adjustable Medium Duty Latch is a simple mechanism which holds instantly. The Toggle Clamps Consist of a handle to operate, a Clamping Arm to reach the work piece, linkages for multiplying the applied force, and a base for mounting at the workplace on its base. The handle is operated which thereby moves the clamping arm to hold the work piece. A required clamping force is achieved and exerted on the work piece. Under this action the Toggle Clamp holds the work piece firmly and positively. 30 Series Small Base Non Adjustable Medium Duty Latches is a simple mechanism which holds instantly. The Toggle Clamps Consist of a handle to operate, a Clamping Arm to reach the work piece, linkages for multiplying the applied force, and a base for mounting at the workplace on its base. The handle is operated which thereby moves the clamping arm to hold the work piece. A required clamping force is achieved and exerted on the work piece. Under this action the Toggle Clamp holds the work piece firmly and positively. 27 Series Non Adjustable Light Duty Latches is a simple mechanism which holds instantly. The Toggle Clamps Consist of a handle to operate, a Clamping Arm to reach the work piece, linkages for multiplying the applied force, and a base for mounting at the workplace on its base. The handle is operated which thereby moves the clamping arm to hold the work piece. A required clamping force is achieved and exerted on the work piece. Under this action the Toggle Clamp holds the work piece firmly and positively.